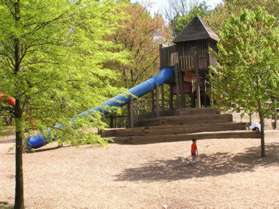 Wheaton Regional Park is owned and operated by the Maryland-National Capital Park and Planning Commission. 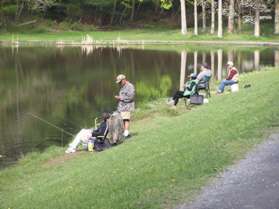 Directions are provided for 2 walks through this park but there is a range of other activities as well. 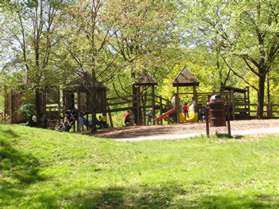 There is an extensive set of playground equipment here next to the picnic grounds. 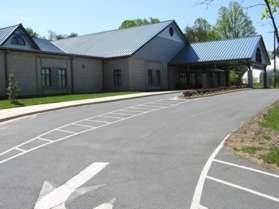 There is a carousel, a miniature railroad, an athletic complex with ice skating and indoor tennis, a dog park, fishing in Pine Lake, a nature center, horseback riding, and Brookside Gardens. Most of the facilities including the miniature railroad are handicapped accessible. Click here to view a map in pdf format for printing. 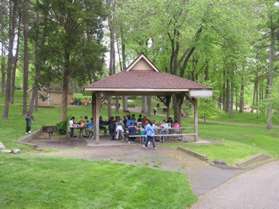 Walk 1 will take you along part of the bicycle trail past the athletic complex to the Nature Center, Brookside Gardens, and the playground and picnic areas. It is 2.6 miles long. Pets are not allowed in Brookside Gardens. Walk 2 also follows a portion of the bicycle trail past the athletic complex but turns to follow the horse trail along the eastern edge of the park. 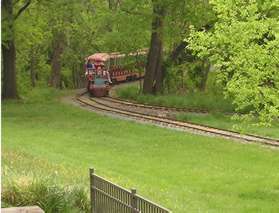 It returns through the Nature Center and passes Pine Lake. It is 3.6 miles long. Brookside Gardens is in this park but is so extensive that a separate trip should be scheduled to fully take in all of its beauty. Hikers on walk 1 will only see a small portion of the park. Separate driving directions are provided on that site for reaching the gardens. Driving directions to Wheaton Regional Park picnic area. Walk 1 map and directions. Walk 2 map and directions. Brookside Gardens information and directions. 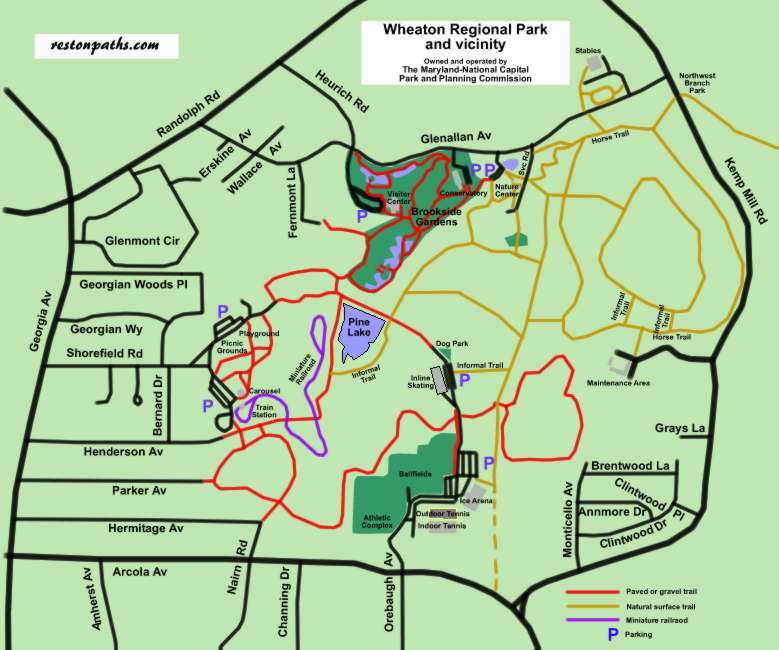 Link to official Wheaton Regional Park web site.